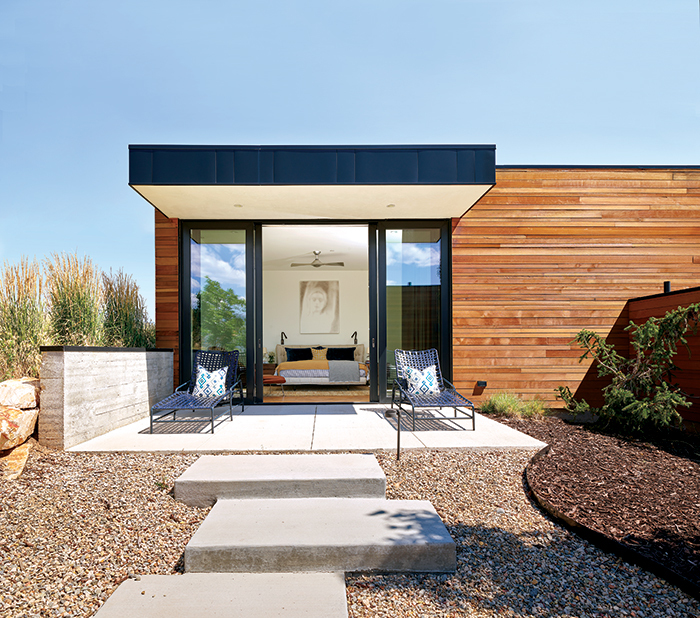 After selecting their home’s site, the Chahine’s decided reached out to Sparano + Mooney Architecture. As Julie explains, “I wanted someone who knew green building, who would get the details right and who would allow me to be part of the process.” (Thanks, Julie!) Their mountain site has quite a bit of topographic change but a wonderful southern orientation. Since the Chahine’s were interested in pursuing LEED certification for their home, the orientation was ideal for passive solar design which is a key strategy our architects use for maximizing energy efficiency. 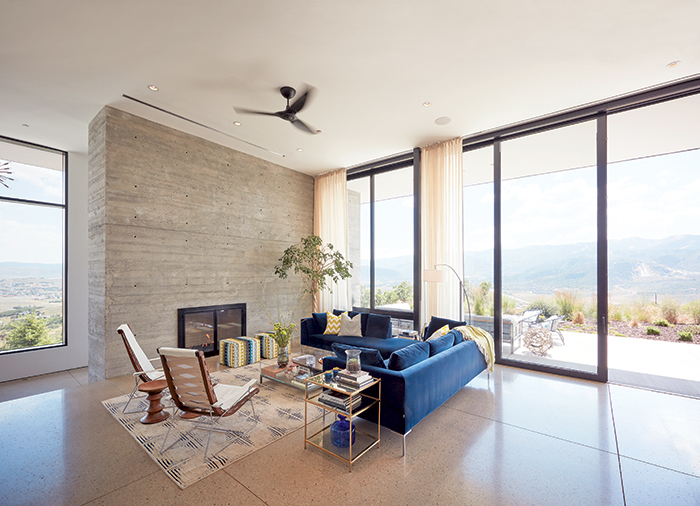 In this case both the views and the ideal orientation for the house aligned perfectly, allowing for both magnificent views of Park City and passive solar design. Architects Seth Striefel, Anne Mooney, and John Sparano worked to provide an efficient floor plan for the couple, which includes four bedrooms and two home offices. The architecture provides flexible spaces able to accommodate a crowd but also intimate spaces for the family. Key materials in the design include cedar wood, glass and board-formed concrete, which were inspired through a study of transparency, minimalism, and serenity. The home’s breathtaking views and seamless integration with the surrounding landscape are experienced through the expression and detail of materials. The massive 14-foot glass sliders provide uninterrupted exposure to far-reaching views including Park City Mountain Resort and the Utah Olympic Park ski jumps. The outdoors are accessed effortlessly through several terraces, including one from the main living/kitchen/dining area, the master bedroom and Ken’s office. Sparano + Mooney Architecture enjoyed collaborating with the Chahine’s on this Park City residential project. Check out the full article by Chase Reynolds Ewald featured on the current cover of Mountain Living and/or on their website here. 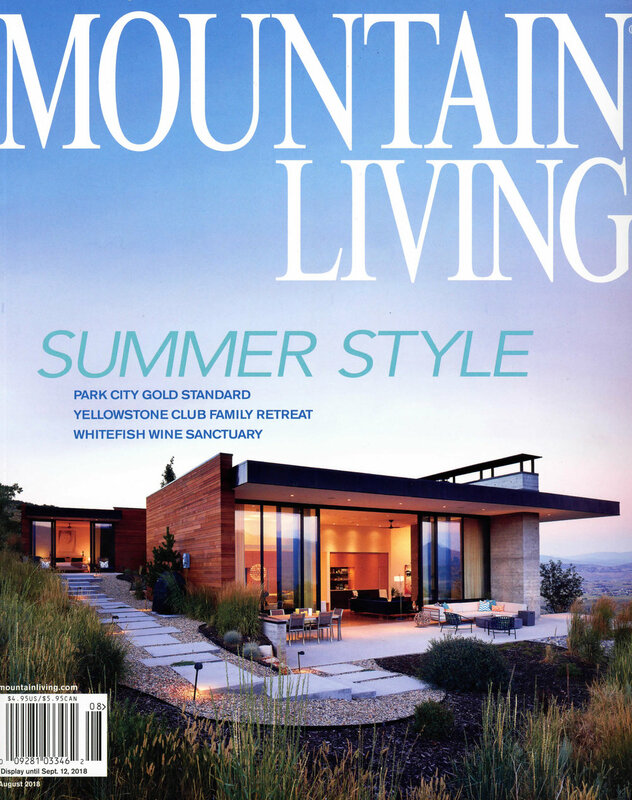 We look forward to showcasing more Mountain Modern architecture in Park City and other beautiful sites in the world!